On April 16 and 17, join the Anna Julia Cooper Center at Wake Forest University and the Center for Medicine, Health, and Society at Vanderbilt University for a day and a half symposium in Winston-Salem, North Carolina. 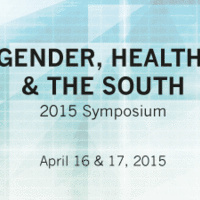 The symposium will bring together activists, scholars, and students to present original research and raise questions at the intersection of gender, race, region, and health. The symposium will include keynote addresses by Dr. Melissa Harris-Perry and Dr. Jonathan Metzl. Panel topics include: the social foundations of health; HIV, sexuality, and health care; pregnancy and reproductive justice; community based health initiatives, and practicing equitable health care.